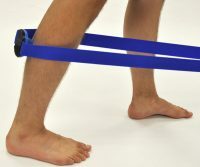 Sit to gently lower your hamstring onto your TolaPoint. 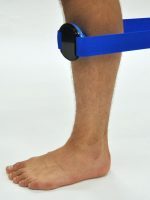 Relax your hamstring and let the weight of your leg generate pressure as required. 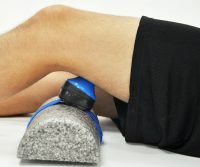 For more pressure, use your unaffected leg to roll your body weight onto your Point. Use a Wedge pair to compensate for the shape of your thigh. Bring more weight to bear over your TolaPoint by sitting in a chair. Use a Wedge pair to direct the pressure toward the belly of the muscle.